Vantec Linings Ireland provides a comprehensive range of van conversion and security solutions nationwide. The team operate a professional fitting service for van shelving, racking systems and ply lining. All services are tailored to each customer’s specifications whether its extra storage for commercial vans, slip resistant polyurethane coatings, electrical installations, vehicle graphics or awnings, VanTec Linings offer a professional and affordable service. The team has extensive experience working on all makes and models of vans, pickups, 4×4’s and light commercial vehicles. VanTec provide spray-on polyurethane and polyuria lining services for vans, pickups, trucks, trailers, boats and industrial equipment. Polyurethane protective coatings create a non-slip surface, to keep cargo from sliding around your vehicle. Environmentally friendly, this spray on polyurethane solution adheres to virtually any surface such as metal, automotive paint, fibreglass and wood. Ideal for commercial vehicles, the coating provides a seamless and water tight bond for maximum protection. Is your load area showing signs of rust or ageing? Do you need more space for storage? VanTec Linings offer complete ply lining and in-vehicle solutions. 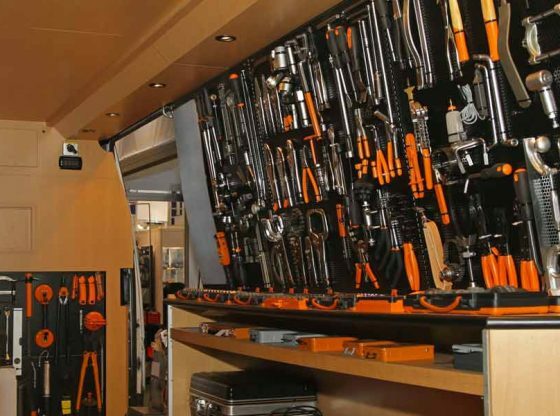 If you need storage space for tools or equipment, the team can install bespoke racking, tow bars, cargo restraints and timber & metal shelving. In addition to vehicle modifications and upgrades, VanTec also specialise in vehicle electrical installations including door lock upgrades for increased security and additional lighting. Vehicle graphics are a simple and cost-effective way to promote your business and increase brand awareness. In addition to van coatings and ply lining, VanTec Linings offer professional vehicle graphics service to private and commercial customers. The design team create attention grabbing graphics using premium, digitally printed Avery 7 Year Vinyl, ensuring that your vehicle graphics last 7 years.